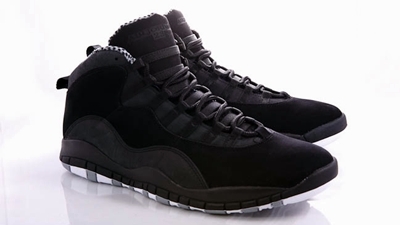 We have seen several colorways of the Air Jordan 10 for the past few months, which definitely looks very good. This month, another one is set to come out and it is also expected to be a hit. The Air Jordan 10 Retro will be coming out in a Black/White-Stealth colorway or simply known as the “Stealth” edition of the shoe. It has black nubuck leather on the upper part to the toe box all the way to the heel, which has the white Jumpman branding logo on it and a white outsole as well. This one looks very simple, but definitely looks pretty nice though; making it a must-buy once it hit the market on March 24 for just $160.